The sound of the guns could be heard all over the UKs news channels today as the National Obesity Forum sought to demolish official dietary guidelines from Public Health England (PHE). The so called “Eatwell Plate”. All the more remarkable if we remember that both used to part of the same organisation that jointly promoted earlier versions of the same advice. A truly astonishing turnaround from the National Obesity Forum but no less welcome for that. So I haven’t read the report at the time of writing this but from the articles it looks like good stuff. Judging by the reaction of Professor Susan Jebb, the UK governments advisor on obesity, on BBC radio this morning it’s pretty incendiary too! To say she was angry is putting it mildly, she was apoplectic with rage!! It was interesting for me to see that she adopted the same tactics as are traditionally employed against people who question official dietary guidelines, attack the messenger rather than engage with the arguments. Watch out for more of this in the weeks to come from the food industry and the vested interests such as PHE. Finally, after what feels like a long winter, spring has made to the UK and my little corner of Surrey. We had temperatures in the high 20s at the weekend which was a shock as the week before we were below 10! We are not quite out of the woods yet as far as frost is concerned but the plants in the garden have gone into overdrive. First out of the blocks is the asparagus. It’s my indicator that soon I can stop buying vegetables and collect them from the garden and allotment. Following closely behind the asparagus will be broad beans and salad vegetables like rocket and lettuce. It’s also gratifying to see I still have two squashes from last year left when it’s almost time to start this seasons. Growing vegetables connects you to the seasons and their variations. Eating your own produce eliminates the pesticides and other chemicals that are used by commercial producers. 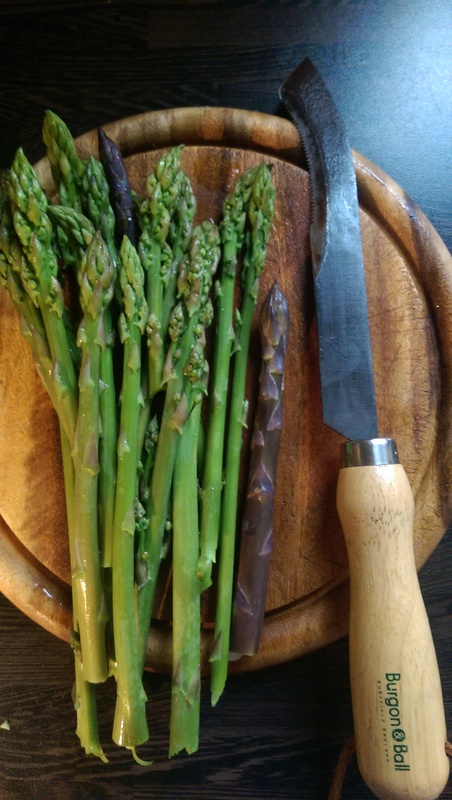 Back to the asparagus… I think it’s going to be a good year for using my traditional asparagus knife. Always in debt to my fitness colleagues at Run to Live for keeping me on the straight and narrow with footwear. 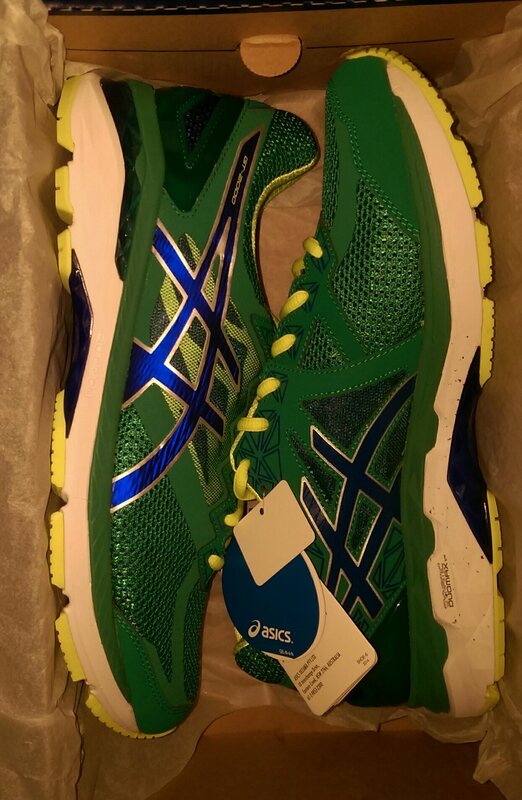 If you are in Surrey and need shoes, Run to Live is my top recommend.